You get to the end of the day and you have done NOTHING that you wanted to do. Instead, you spent the day stressed, behind and frazzled. You’ve helped everyone else live their best day and your needs are put on the back burner. You feel like you were busy all day, but got nothing accomplished. Here is the thing Mama. The only way to make sure that what matters to YOU makes it into your day, is to create the space for it beforehand. If you wait for things to fall into place, wait for the ideal long nap time, wait until the house is perfectly clean or you have all your work done, you will be waiting FOREVER. Space doesn’t just magically open up, you have to create it. 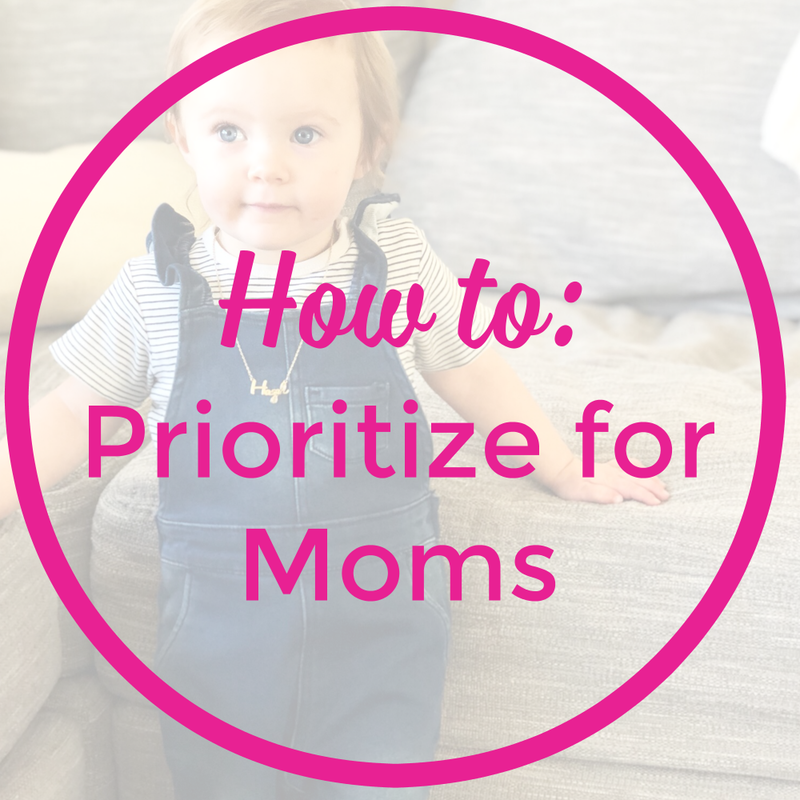 And the only way to create space is to identify what matters to you and your family and be intentional about making the time for it. Think of it like this. If you made a date with your best friend to have coffee Monday at 10am, you would show up. You made plans, put it in your i-cal and committed to this friend. This is the way me must start treating things that matter to us. Even the little stuff. Making a date on your calendar and sticking to it like you would a real live, in person date. But first, you get to choose! You get to choose what matters to you. Is it more family time? Time to read your devotional? Time to workout? Time to make a girls night? Time to get your side business/hustle started? Only you can decide. Just because someone else thinks its important, it doesn’t have to be important to you. So I want you to take a quick minute and write down what you value. What would you like to make more time for? For me right now, it’s being present and having family time from 8am-9am and then from 3:30 pm on, taking time to write my blogs and launch my new monthly membership for moms (check it out here) time to sleep a lot (I’m really tired these days), and time for my own learning and growth via books or online courses and my bible. What are the things that need to happen in order for you to make this stuff come to life? Once you identify what is important to you, I want you to get out your calendar and block it out! Even if all you want to do is sit in silence with you coffee for 5 minutes before you kids wake up, put it in your calendar! Seeing the visual reminder and even having an alert go off reminds you that you CHOSE this, you prioritized this. The dishes, laundry and other tasks CAN WAIT. I know this might seem like a total “duh,” but are you really doing it? Are you really making time for what counts? If you wing it, you will always feel behind and never do what’s most important to you. Your family might cling for your attention, you might piss someone off, but you have chosen and followed through on what matters to YOU. Remember Moms. In order to shine our light and live radiantly we must fill ourselves up with love, compassion and energy. We cannot pour from an empty vessel.